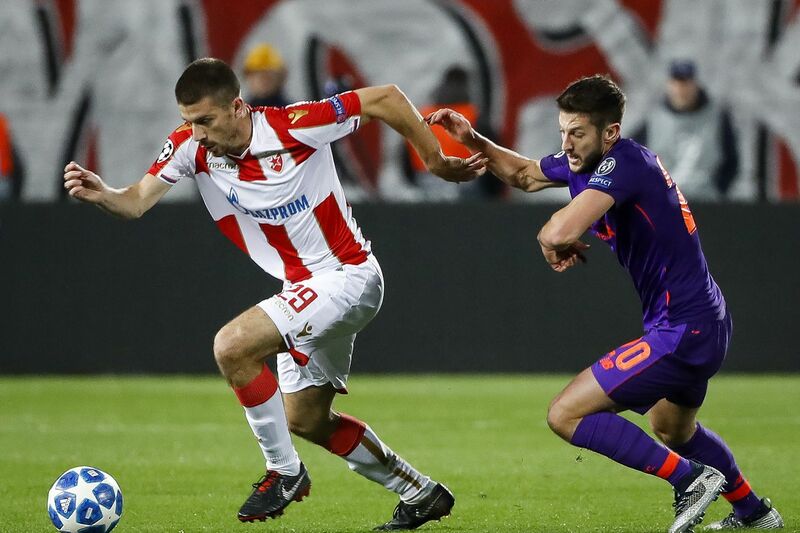 Liverpool thought their backups were good enough to beat Red Star Belgrade. Whoops! Adam Lallana and Daniel Sturridge turned in a shocker. So you probably want to banter off Liverpool fans online, and if you hate Liverpool, that is your right. I certainly don’t want to take a joyous occasion away from you. But Jürgen Klopp’s decision-making ahead of his team’s Champions League defeat to Red Star Belgrade was certainly justifiable. Put yourself in Klopp’s shoes on Monday morning. Try to pretend it’s before the match against Red Star Belgrade, and you don’t know the result. It makes sense to rotate your squad a bit, right? After all, you beat Red Star 4-0 in your first Champions League meeting. You need to keep your backup players match fit and happy, in case you need them later on this season. Tuesday’s match is a great opportunity to get guys like Daniel Sturridge and Adam Lallana some game time. As long as you keep a couple first teamers in the attack, you should be able to score a goal or two. Same goes for the defense — Virgil Van Dijk and Alisson Becker should minimize any negative impacts that rotating at the back might have. Trent Alexander-Arnold and Joël Matip have proven competent in recent times, after all. Well, Jürgen Klopp probably now wishes he would have put out his strongest lineup on Tuesday night. His team not only lost 2-0 to Red Star Belgrade, but looked terrible doing it. No one besides Mohamed Salah — who hit the crossbar once and got another shot on target with his six efforts — was particularly impactful going forward. It certainly didn’t help that Red Star was able to go into a defensive shell pretty early. They took the lead through a Milan Pavkov header in the 22nd minute, and uhhhhh that’s Van Dijk’s error, isn’t it? Oops. The second goal showed off more of an obvious squad selection problem. Not to take anything away from Pavkov, who hits a freaking belter here, but someone a bit more defensively adept probably slows him down. Gini Wijnaldum is pretty much a pure RUN STRAIGHT AHEAD GET ASSISTS SCORE GOALS type of dude, and should never be any team’s most defensive midfielder, for any reason. OK, stuff happens, right? Sometimes a striker gets hot and scores a couple bangers. You’re Liverpool, you can deal with this! They score two, you score three, right? Well, maybe with your best players on the pitch. But Liverpool learned a lot about Daniel Sturridge and Adam Lallana on Tuesday night. Namely that they’re not as good as they were before they racked up a series of bad injuries. They were pretty useless — Sturridge was rightfully hauled off at halftime, while Lallana was given more time he shouldn’t have gotten to help his team get back into the game. He finished with 64 percent pass completion rate and zero key passes. He started as a central attacking midfielder and did not make a single pass that led to a teammate’s shot. Lallana and Sturridge have been good players for us in the past, and usually look great against lesser opposition, so they should be able to give us enough in attack to beat Red Star Belgrade. Hey, I bet you did too, even if you’re a Liverpool hater and you think those players are overrated. But they might be past the point, physically, where they can make a positive impact on games at any reasonably high level. Liverpool probably learned something about their depth on Tuesday night — that they don’t have much. This is one-game sample, but it’s also contributing evidence to a theory that has been brewing for a couple seasons worth of injuries and average performances. Klopp’s apparent belief that Sturridge and Lallana would return to form if their injuries healed has likely cost Liverpool first place in Champions League Group C, and puts them in a position where they have minimal room for error against Paris Saint-Germain and Napoli over their next two games.